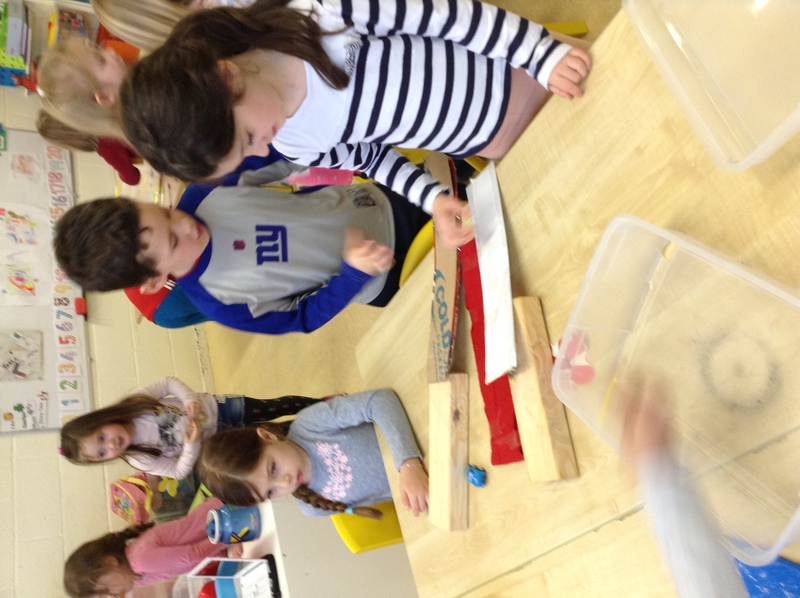 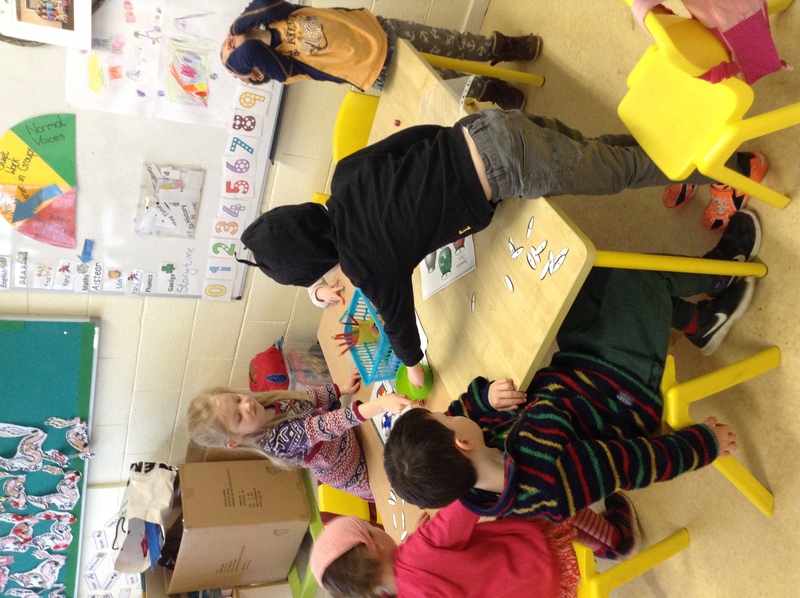 Junior Infants have been doing lots of fun activities this month. 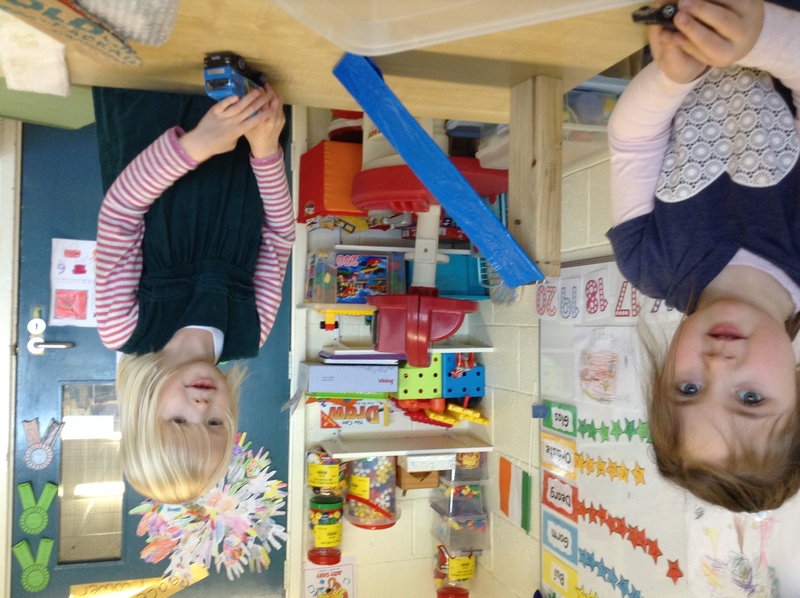 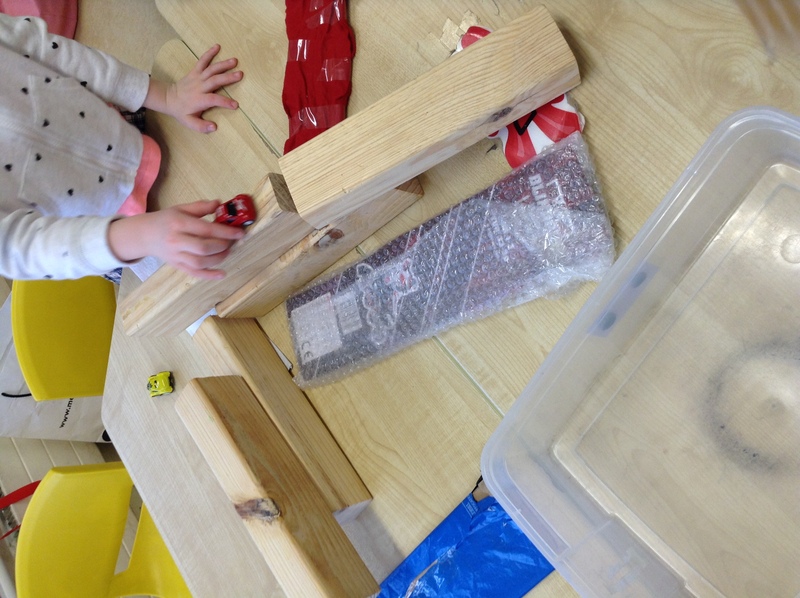 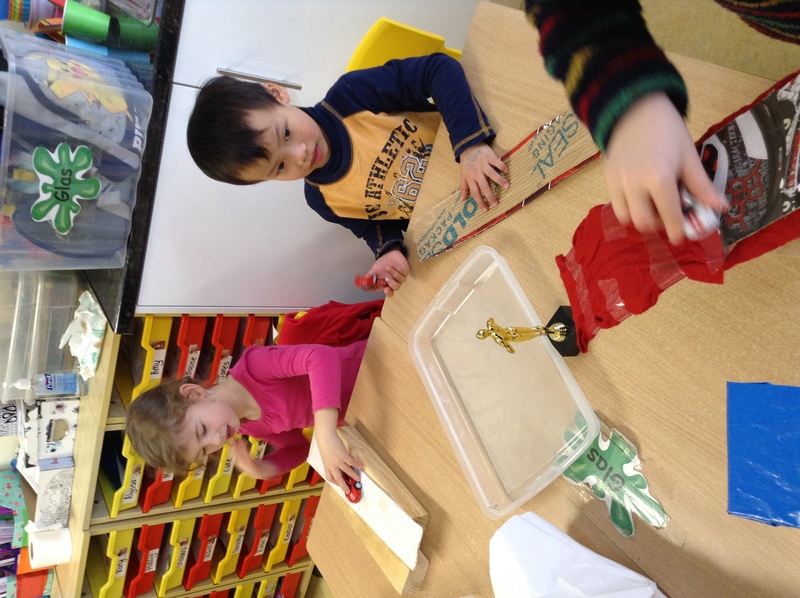 We have added a new station in Aistear where we test different materials to see which one makes the best ramp for our little cars. 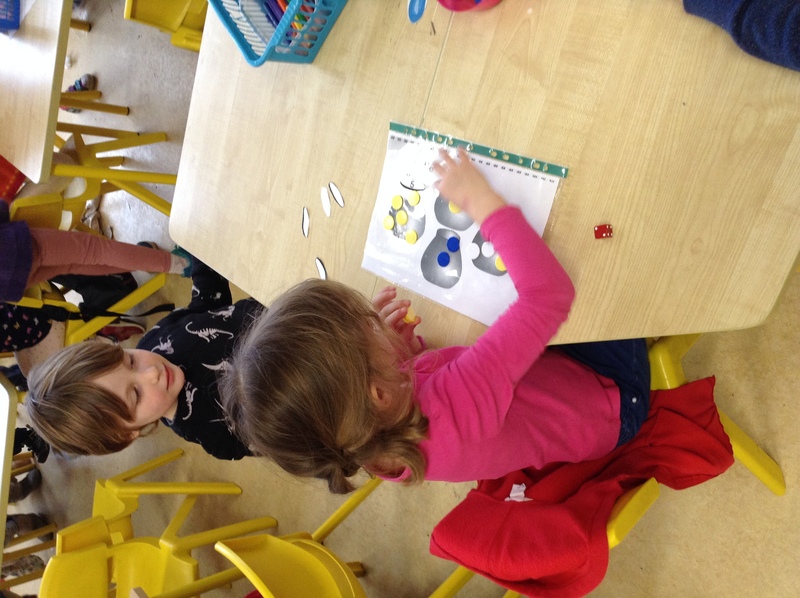 In Maths, we have been playing a fun game called ‘The Sweety Jar Game’. 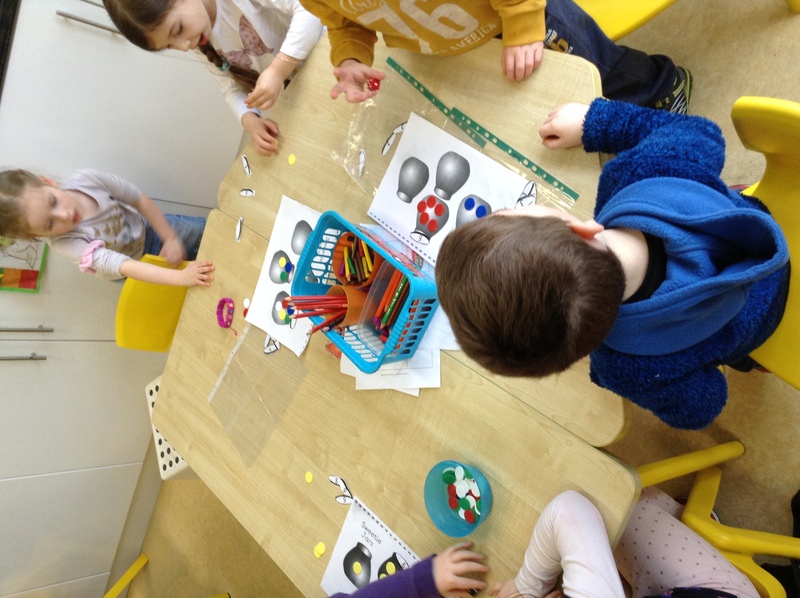 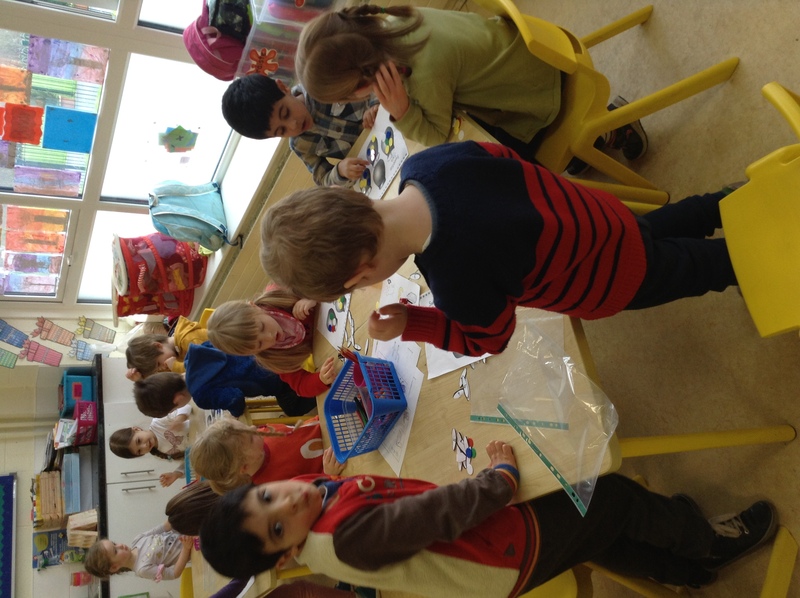 Children roll the dice and place the correct number of counters into the sweety jars. 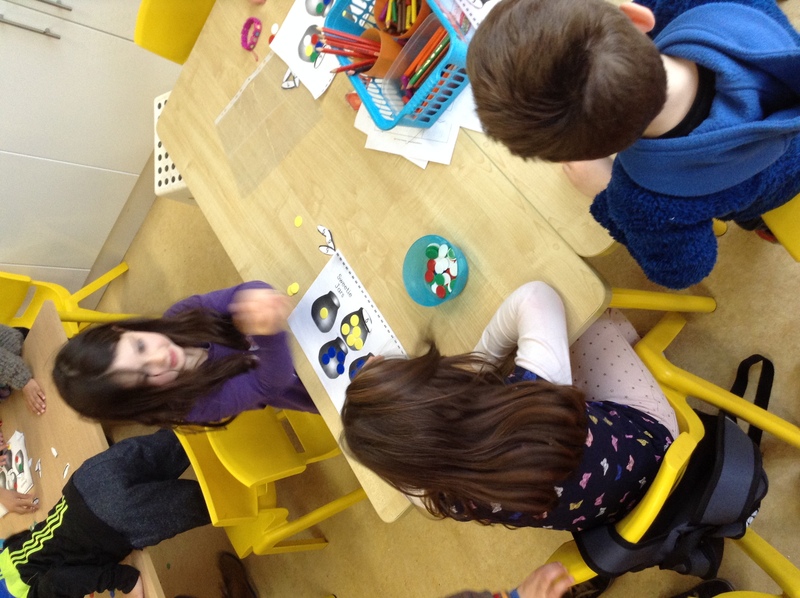 Each day, the children have a different ‘goal number’ with which to fill the sweety jars. 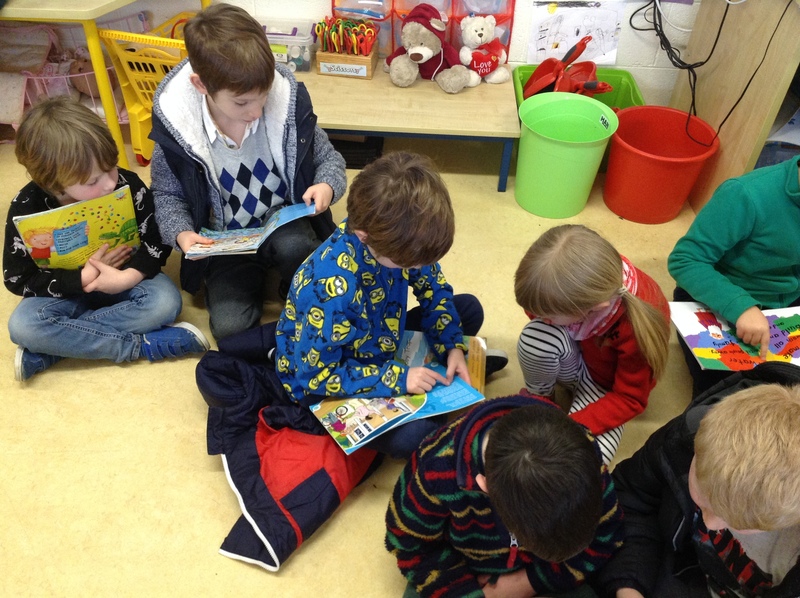 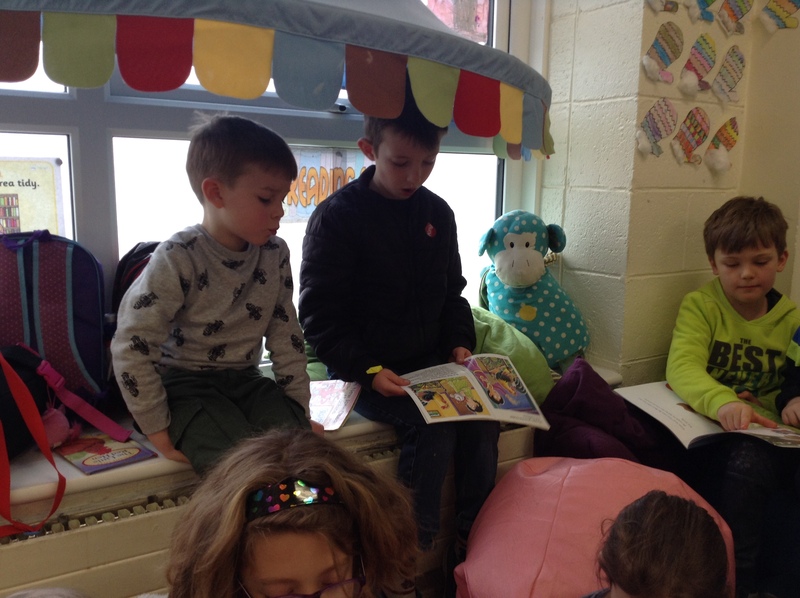 We have also paired up with Aongus’ class for some buddy reading. 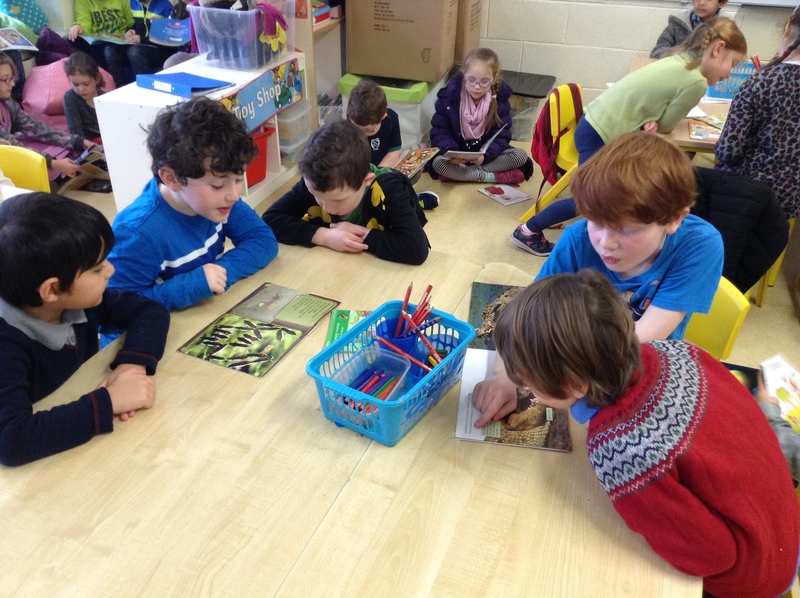 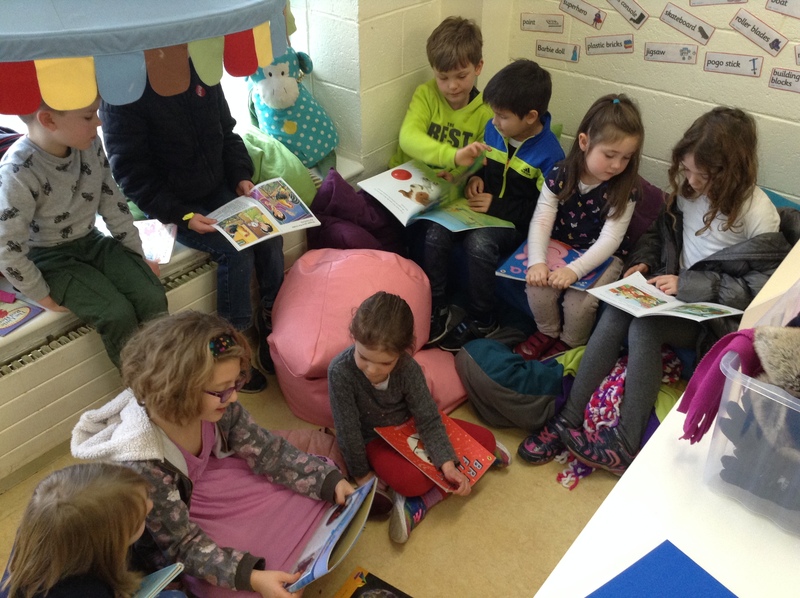 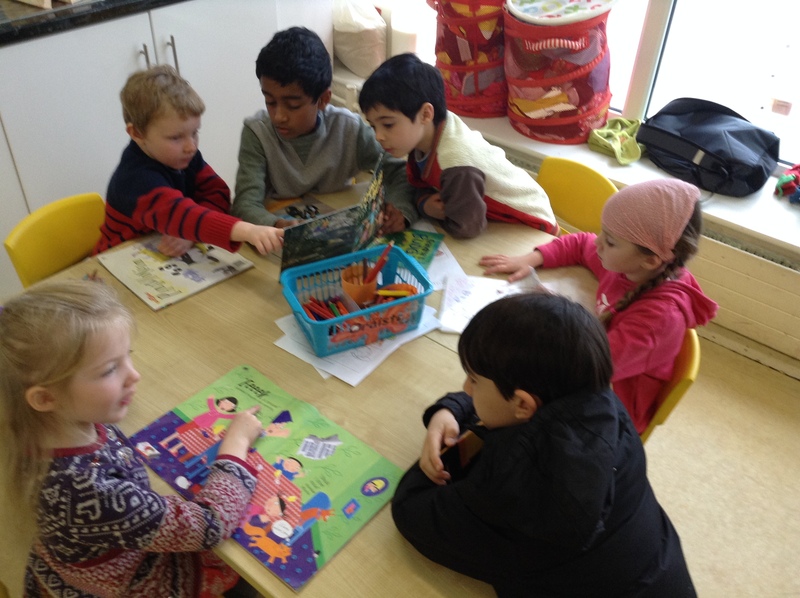 The children loved making new friends with the 2nd class and we are looking forward to more weeks of reading with our new buddies.